Epic adventure. Vivid characters. Amazing worlds. In software engineering we do two-week sprints, in which we commit to two weeks of work. At the end of it, we have a retrospective, where we assess what went well and what didn’t. I borrow a lot of my day job’s workflow management practices for my writing. The retrospective, I’m sure, will be as valuable as the rest. In the retro, we start with four things: what we liked, what we learnt, what we lacked and what we longed for. From these, we develop actions to undertake during the next sprint. Or in this case, what I’ll take from this year and apply to next year. This is my 2018 retro. On January 7, Ghost Electricity went out into the world. It’s my first published book. I like this one heck of a lot. 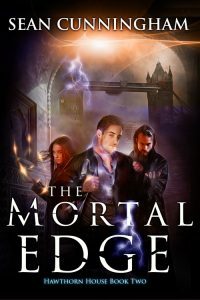 In 2018, I also published the sequel, The Mortal Edge, and The Clock Strikes, a novella that slots in between them. The novella was a change in plan. 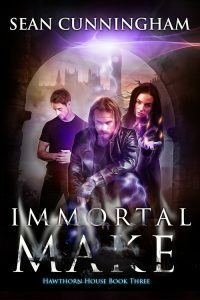 I had planned to get the third book, Immortal Make, out by mid-2018. When that proved impossible, I switched to the novella in order to publish something in the second half of the year. I think that was a good move. The books have had some pretty good reviews. Not perfect, but good. That readers want to read about people I made up in my head is just the most amazing thing to me. I was greeted by some wonderfully supportive authors. I’d heard the attitude in indie publishing was positive and supportive, but it exceeded anything I could have expected. 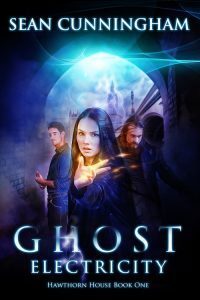 I’d like to make special mention of SPFBO judges Dyrk Ashton and Lucasz P, and my old friend and fellow author Peter M Ball, all of whom offered me encouragement and support in different ways at different times. You guys rock. The Self-Publishing Fantasy Blog-Off was tremendous fun. I’m glad I joined it. I had the bad luck to get knocked out in the first round by a book that is a strong contender for winning the competition, but Dyrk Ashton gave me a great review. I’ve had a lot of fun following the competition on Facebook and Twitter. I learned that I wasn’t thinking of my books as an indie author whose job it is to market those books. This was the biggest surprise for me. I couldn’t think of where my books sat in the market until they were actually out there. I’ve learned a lot from the reviews I’ve received on Amazon and Goodreads. I mentioned before that I’m amazed there are readers who want to keep reading about Rob, Julian, Fiona and Jessica. I like all these guys myself, of course, but the degree to which other people like them and their relationships was a welcome discovery. I lacked time. I lacked it all the way through the year. I note this not as a complaint, but as something to think about. Balancing a day job, a life with my partner and writing is a tricky act. It will require continued work. There were a bunch of things around author presence and marketing that I was aware of, but hadn’t started in on. In part, this is because I’ve been following the indie world for years while writing and many of the practices have changed. I parked the development of these areas until I was published. I didn’t want to learn something and have it obsolete by the time I was ready to use it. But I’m out there now. I have a lot of work to do on the fundamentals of marketing as an author. I lacked an appropriate reader magnet. I like The Clock Strikes. But the feedback on it has been a) a lot going on for a novella and b) it doesn’t really work as a stand-alone, which it really needs to do. Time to write. Time to upskill my writing. Time to market. Time to upskill my marketing practices. Oh, and for the bloody Crossrail to open, which will significantly cut my commute time. Nothing I can do about this one except try to work with what I’ve got. But damn, delayed by more than a year? 2019 isn’t going to be a quieter year for me. My objectives for the year are to continue writing and publishing, to continue learning and growing. But I’m going to have to get smart with how I use the time available for me. This year, I think, will need to be a year of sorting out the fundamentals of being an author. 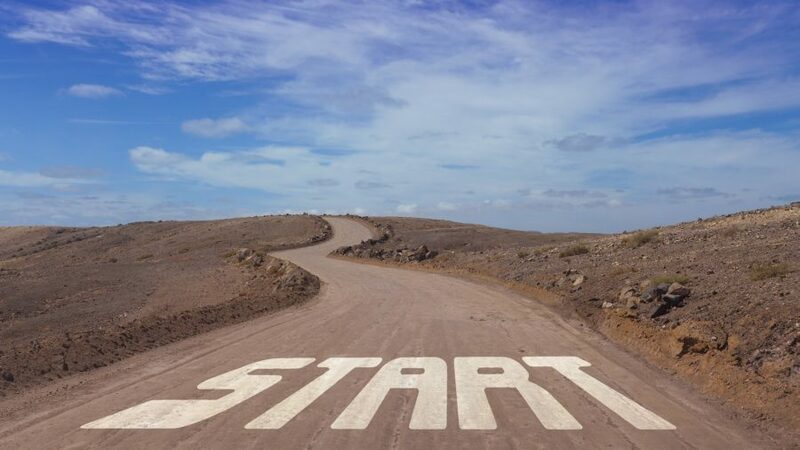 Make a plan on what I want to achieve and what I want to learn. I will also need to plan out what I can write and publish this year. My friend Peter, who I mentioned earlier, wrote in his newsletter than he’s planning to spend the next few years building up his catalogue. For me, 2019 will need to be a year of the same. 2018 was a good year for me. Hard work, but good. I feel like it gave me a reasonable feel for where I am as an author and what actions I need to take to get where I want to go. Thank you for joining me for it. I love this. I will put it down as something liked and learnr in 2018. Thank you. Thanks. It works pretty well in software engineering, but software engineering is making things. I figured it might be useful for being a writer too. I hope it serves you well.